They hated the mist and the drizzle but, above all, the awful food. Fish-paste sandwiches, cabbage boiled to extinction, milky tea, warm beer. And custard! One Polish fighter pilot arriving in England in 1940 was appalled by this ‘glutinous yellow paste’, which he reckoned tasted like washing powder. British cooking, he concluded, ‘consists of making the worst dishes from the best produce on earth’. But they loved our girls, who went weak at the knees in return and flocked to these handsome, brave, glamorous young men, refugees from defeated Poland who had come to Britain to join the fight against Hitler’s hordes — encamped on the other side of the Channel in France and threatening to over-run these shores, too. The newcomers from Eastern Europe were so romantic and attentive, bowing from the waist and clicking their heels when introduced, sending flowers after the first date, whispering sweet nothings in a moody foreign language . . . and legendary for their prowess in bed. The English girls they met were bowled over, shrugged off their inhibitions and showed their appreciation. No wonder that some put-out British airmen took to stitching a ‘Poland’ label on the shoulders of their RAF uniforms when they went to dances in the hope of getting in on the action. It is hard to overstate the impact the influx of Poles made on bedraggled, backs-to-the-wall Britain when they arrived here in the early part of World War II. It would be unequalled until the gum-chewing, cigar-chomping Americans pitched up two years later. What caught the imagination was not just their flamboyance and their obvious charm, but that they were undaunted. Their nation had been crushed under the jackboots of a superior force, but they had resisted as best they could and, though beaten and exiled, were not going to lie down. They were fighters, not quitters. And fight they did when they now got a second chance to take on Germany again, with great distinction and great success. As Hitler directed his so far all-conquering Luftwaffe to try to force this island into submission, the Poles were thrown into the Battle of Britain to buttress the RAF. Their contribution was crucial. They turned the tide. Which is why there is now a high-level move to honour what these Polish airmen did for Britain three-quarters of a century ago, with a special memorial. 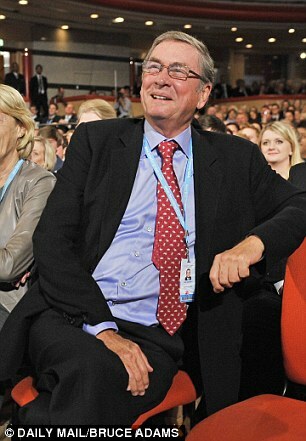 Lords (Michael) Ashcroft and (Norman) Tebbit are campaigning for a £1million monument to be built in London’s Hyde Park. The two Tory peers hope that — following reports of a spate of xenophobic attacks on Poles here in Britain in the immediate aftermath of the Brexit vote — it will be a reminder of the historic links between the two countries and the debt we owe them. Yes, there may be a Polish war memorial tucked away near their old base at Northolt — and indeed a road junction on the A40 named after that — but something is needed in Central London, near the other great national war memorials. Yet, oddly, senior commanders in the RAF were at first reluctant to press them into service when they wound up here, raring to get back at a Nazi Germany that had pillaged their land. After defeat at home in 1939, the remnants of the Polish Air Force had decamped to France, where a government-in-exile had been set up. But then the following year France fell, too, and they made a second hasty retreat, re-assembling in England. Blackpool was the first base for many, where they were treated as heroes, stood drinks in pubs, welcomed into homes, introduced to custard. Over-boisterous and unused to British ways, some drank too much, got into punch-ups, fought duels even, as if they were still in Warsaw. They were labelled collectively as troublemakers — which the sniffy RAF took a dim view of. The fact that they were combat veterans who had already been in action and had a fanatical hatred of the Boche was seen as a drawback rather than a bonus. Stiff-upper-lip RAF types feared they would be uncontrollable. One influential squadron leader dismissed them as ‘hurtling bolts of fury, beyond all reason and authority’. If they were to be of any use, they needed reeling in and curbing of their dangerously suicidal temperament. So they were confined to training duties — as if flying 30 death-defying sorties against Messerschmitts in the skies over Poland, as some of them had done, counted for nothing. They were humiliated by being made to practise on bicycles until they could prove that, on command, they could wheel left or right in formation. When finally let loose in planes, they were closely marshalled, like novices. A decision was then made to disperse them among British squadrons so they could learn to knuckle down. To the surprise of the high-ups in the RAF, the Poles quickly fitted in well. They proved superb flyers, disciplined in the air, not harum-scarum at all, and popular with their British comrades. Most squadrons were glad to have them on board. Yet, out of the blue, came a bizarre switch of official policy. Snooty Air Marshal Hugh Dowding decided their pidgin English made mixing them with British squadrons too much of an operational risk. Instead, all-Polish squadrons were to be formed. The result was that, as the Battle of Britain ratcheted up at the back end of August 1940 and the skies above southern England grew ever darker with fleets of German planes, there were 142 Polish pilots on call — 66 in two special squadrons and the rest scattered around — to back up Britain’s hard-pressed force of Spitfires and Hurricanes. To begin with, the Polish squadrons were held, frustratingly, in reserve. Then, on August 31, they were ordered into combat against an enemy now threatening to overwhelm Britain’s defences. The Few — Churchill’s indelible phrase for the country’s brave fighter squadrons — were dwindling in numbers under the constant onslaught of German planes. They needed help. Off the leash at last, six Hurricanes of 303 Squadron — nicknamed the Kosciuszko squadron after a Polish general of the 18th century — took off from Northolt airfield on the outskirts of London and immediately shot down four enemy Messerschmitts. They bagged a further six on September 5 and six more the following day. On September 7 — a day when the Luftwaffe sent in hundreds of bombers to target London for the first time — they shot down 14, a record for any squadron in a single day. Churchill sent hearty congratulations, but some RAF bigwigs still turned up their noses, suspecting the excitable Poles were exaggerating their kill claims. A group captain was sent to shadow them the next time they went up. He came back after witnessing another 14 enemy aircraft destroyed in dogfights. ‘What they claimed, they did indeed get,’ he reported back. In the ensuing weeks, the Poles more than proved their worth. 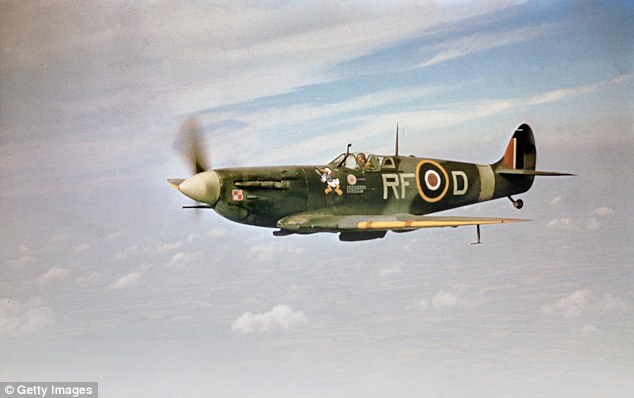 On some days, the hard-pressed RAF could muster just two dozen fighters to challenge 400 German planes. As many as a quarter were piloted by Poles. By the end of the month, 303’s tally of confirmed kills had passed 100. Meanwhile, other Poles filled in for casualties in other squadrons. What they were particularly adept at was a modern version of the old-fashioned cavalry charge, one of the specialities of their famous Uhlan lancer ancestors. They swooped down on tight formations of Luftwaffe bombers and their fighter escorts, roaring in on a collision course, nervelessly holding their fire until the very last minute — beyond the 150 yards distance at which British pilots were instructed to fire. This caused the enemy to panic and scatter into individual targets that could then be picked off one by one or turn tail and head back to base. When they ran out of ammunition, the Poles would use their aerobatic skills to drive an enemy plane into the ground. They took losses themselves, of course, in these battles, but their casualty rate was significantly lower. One British pilot was killed for every 4.9 enemy planes downed. The Poles managed to notch up 10.5 enemy planes per pilot death. In The Forgotten Few, his tribute to the Polish air force, historian Adam Zamoyski puts this down to ‘superior tactics and better team work — the last thing the RAF top brass had expected of them’. Why did the Poles have the edge? For a start they tended to be older — on average aged 24 compared with 20 for British pilots. Their understanding and handling of aircraft was also exceptional because they had learned their flying in Poland on more primitive planes. They knew how to capitalise on the extra speed and manoeuvrability that Hurricanes gave them. But chiefly, aviation experts say, it was because they were super-vigilant in their cockpits. Their RAF counterparts were trained to depend on instruments and radio religiously. But the Poles preferred to use their eyes as they constantly scanned every direction and then react on instinct. They were always on the alert, saw further and acted faster. All this made them masters of the skies. They faced one unique hazard, however. If shot down, language difficulties meant they faced being mistaken for Germans when, scorched by flames and dirty, they parachuted to the ground. Pitchforks and shotguns were thrust in their faces and lynching was a distinct possibility. One learned to say ‘eff off, old chap’ in an immaculate English accent to identify himself. But once their nationality was established, they were treated like kings. One landed in a posh tennis club, and was astonished to be invited to make up a doubles team there and then. Another 303 Squadron stalwart claimed to have been found by a woman whose husband was away in the Army and who kept him to herself at home for two days before letting him return to Northolt, exhausted but with a mighty grin on his face. The Poles fought on through September and October alongside their British counterparts until German losses mounted to the point where they gave up and went away. 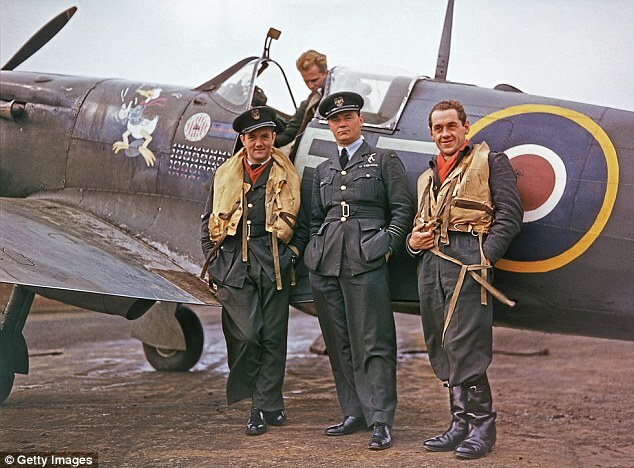 The Battle of Britain was over. When the totting-up came to be done, it was clear how much they had contributed to the victory. Overall, they had provided a crucial 5 per cent of the pilots who defended these shores in that critical period and shot down 200 enemy planes between them, 7.5 per cent of the total. Sir Archibald Sinclair, Secretary of State for Air, was fulsome in his praise. ‘Our shortage of trained pilots would have made it impossible to man the squadrons which were required to defeat the German air force if the gallant airmen of Poland had not leapt into the breach,’ he wrote. Even Air Marshal Hugh Dowding admitted that the outcome would have been very different if it had not been for their gallantry. With the Battle of Britain won, the Poles continued to fly for their adopted land for the rest of the war — in bombers over Germany, against submarines, in fighters backing land operations and against flying bombs. They flew more than 100,000 sorties. Nearly 2,000 of them died and 1,400 were wounded. And then came an awful stab in the back. In 1945, as the war moved to its end, Britain had to accept the Red Army taking over the liberated Poland and becoming part of the Stalin’s communist bloc, swapping one dictatorship for another. Poles who had fought bravely in the hope of one day returning to their homeland found themselves on the wrong side of history. They were devastated, not least when the incoming Labour government, for fear of upsetting Stalin, banned Polish units from the official victory parade of Allied servicemen through the streets of London — the city they had fought to defend. One forlorn pilot stood in the crowd on the pavement, weeping. The historian Zamoyski writes that the end of the war ‘made a nonsense of the fine words and illusions conjured up to help win it and filled those who fought it with mixed feelings. Worse still, where the Poles had once been heroes, they now became pariahs. The British public — eager to support the post-war peace settlement in Europe and not yet aware of the horrors Stalinism really entailed — turned against the thousands who chose to stay rather than go home to live under communist rule. Labour MPs whinged about the cost of resettling them here in Britain. Trades unions, notably the miners and the agricultural workers, ganged up on them for taking ‘British’ jobs, even though there was a shortage of labour. ‘Poles go home’ and ‘England for the English’ were daubed on walls near Polish Air Force bases. More than half of those asked in an opinion poll said they wanted the Poles deported. If those sentiments are being repeated here in Britain in 2016 — with an estimated 850,000 Poles living here — that is as reprehensible now as it was then.